Condo at Cedar Breaks Lodge next to Navajo Lift. Resort has heated pool, two hot tubs, restaurant/bar, coffee shop, and gift shop. Condo located in the Cedar Breaks Lodge, which is operated by Diamond Resorts, offering the area's premier winter and summer accomodations. The space has a compact kitchen with a two burner stove, microwave, fridge, sink and service for 6. You'll discover one full bath with a jetted tub/shower combo, heat lamp, and vanity with the convience of a built in hair dryer. Space in the entry allows you to store 4-6 sets of skis/boots/poles. The resort also has a ski equipment room that can be used to store skis and board equipment, if you prefer. Two queen beds in the living area sleeps 1-4 persons. NOTE: The layout drawing of the room is an approximation. Dimensions, exact placement of furniture varies by unit. With this drawing and the photos one should get a real feel for what this unit offers. All guests check in at the main lodge for room keys to this unit, located in building #2, on the 3rd floor, conveniently adjacent to the elevator. Underground parking is availalbe on a first-come, first-served basis. An outdoor covered BBQ pavilion and picnic tables are also availalbe for use, as well as a play ground and basketball court. The Lodge parking lot adjoins the Navajo Lift lot, making it easy to walk to the lift, or drive if you prefer. During ski season, the Brian Head lift shuttle services right from the lodge's front door. •	Brian Head is right next door to the Cedar Breaks National Monument and about an hour and 20 minute drive from Zion National Park and Bryce Canyon National Park. •	Bryan Head is only 20 minutes from Parowan, the County Seat, which is the gateway to the world famous Petroglyphs at the Parowan Gap. •	Brian Head is also just 40 minutes from Cedar City, the home of the yearly Utah Shakespeare festival, and makes a great place to stay when enjoying this wonderful event. •	Brian Head is only a 3 hour drive from Las Vegas or the Grand Canyon National Park, making it a great 'home base' for your vacation. •	During the winter Brian Head is home to great skiing/boarding that is perfect for families and groups. There are miles of snowmobile trails and guided snowmobile tours. There is also ice fishing at nearby lakes and many snow tubing hills. •	During the Summer Brian Head is the perfect cool temperature getaway due to its high altitude. Excellent mountain biking, fishing, hiking and ATVing, make Brian Head a one stop destination that will please everyone in your group. During ski season there is a FREE shuttle that picks up every 30 minutes at the front desk. You are within walking distance to the Navajo lift. The Shuttle is awesome for getting to the ski rental shop or other lift points like Giant Steps. We liked the efficient heater, plenty of towels and t.p., clean sheets and pillows. The unit was close to the lifts, hot tubs and steam rooms. But, there were no check-in or check-out directions. When asked, the rep for the condo said, “They’ll be ready for you at the front desk.” They weren’t. When I told the rep about the non-functional stove burner, broken towel bar and filthy frig/freezer, she wrote, “Thank you.” Seriously. We love Brian Head, but won’t stay here again. Great property. Room was spacious and had everything a family would need. Smooth check-in. Cedar Breaks Lodge is the absolute best place to stay in Brian Head! Thanks for the review. 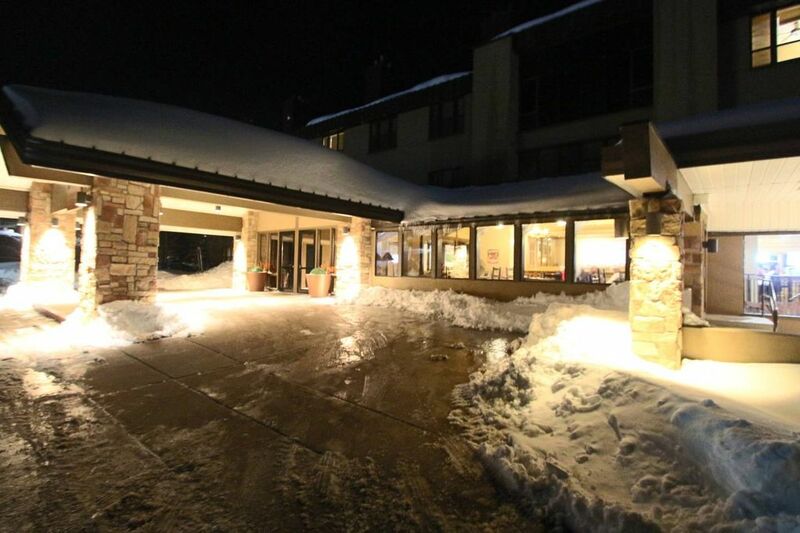 We too love the Lodge and all its amenities year round! Glad your family had a great stay.